By a rough estimate, Grandmaster Mingtang Xu has completely healed more than 10,000 cases of regractory illness of all types, using the diagnostic and treatment methods of Image Medicine. Concurrently he has trained approximately 50,000 students in the healing and health maintenance skills of Image Medicine. There are now about twenty Image Medicine health institutes worldwide, and approximately 3,000 full-time practitioners of Image Medicine. This remarkable success is now paving the way to world-wide embrace of this orthodox Traditional Chinese Medicine. From his clinical practice of Image Medicine in six countries, over the span of more than two decades, Grandmaster Mingtang Xu has observed numerous cases of instantaneous or otherwise "miraculous" healings. He has successfully treated Chron's disease, atrophy, illness of the cervical vertebrae, vertebral disc herniation, asthma, childhood epilepsy, deafness, blindness due to illness, heart attack and its complications, diabetes, and many other diseases. He has found that Image Medicine is particularly and uniquely effective with regard to "informational illness." At the 2009 International Traditional Medicine Technology Symposium and All China Forum on Progress in Traditional Chinese Medicine External Healing, Grandmaster Mingtang Xu was awarded the "All-China Outstanding Contributor to Progress in the Study of Traditional Chinese Medicine External Healing" award. Born into a well-known family of doctors and martial artists in the Henan province, Grandmaster Mingtang Xu followed in the tradition of his ancestors. He studied Traditional Chinese Medicine, Shamanic practices, and martial arts before beginning diagnostic work at the hospital where his father, a surgeon, served as director. Working alongside his father, Grandmaster Mingtang Xu began seeing patients at the age of seven. His father carefully assessed his scanning abilities, using Western diagnostic testing as the standard. Grandmaster Mingtang Xu's skills at scanning and diagnosing were so accurate that he was allowed to begin seeing patients independently at age fourteen. He left home two years later, to study the modern discipline of computer science at the prestigious Xian Jiaoda University. In his free time he continued to see patients, and his skills at scanning, diagnosing and treating disease further improved. After graduation he returned to henan province and trained intensively at places known for their healing power: the Longmen Grottos, the White Horse Temple the Cloud and Mist Mountains, and the Shaolin Monastery. At Shaolin, he was inspired by his ancestor, Prince Kimnara, Guardian of Principles of the Monastery centuries before. The monastery hall in Shaolin is dedicated to his forefather and in the tradition of his family, Grandmaster Mingtang Xu upholds those family principles to this day. Grandmaster Mingtang Xu's father and his teacher both urged him to pursue a Master's degree in Computer Engineering as the mordern scientific age unfolded in China. He attended Beijing University, where he graduated at the top of his class. He then was employed as the Chief Engineer and Project Director at the Software Laboratory of the National Academy of Science of China. However, he spent every free moment practicing of ZY Qigong, and in 1988 he founded the Chinese Zhong Yuan Association. A year later he was appointed Associate Professor of the Chinese Research Institute of Human Latent Potentials. In 1991, Grandmaster Mingtang Xu decided to focus his life on ZY Qigong. He left his prestigious position in China and began teaching in Russia. Within a few years, he was giving seminars on ZY Qigong throughout the former Soviet Union and Eastern Europe. His roster of patients grew exponentially and now includes cultural, business, sports and government elite. Over the course of the next ten years, Grandmaster Mingtang Xu founded the Kiev Chinese Traditional Medicine Clinic and the Oriental Culture and Medicine Academy at the Ukraine National Academy of Science, which includes degree programs for medical students and health professionals. Grandmaster Mingtang Xu is also affiliated with the Laboratory for Human Brain Research and Moscow University. He first published his two-book series, Entering One's Own Universe ZY Qigong, in Russian. It has since been translated into Hebrew, German, Czech, and finally English. In China, Grandmaster Mingtang Xu was awarded a professorship at the Chinese and Western Medical Joint Hospital of the Beijing Chinese Medicine University. 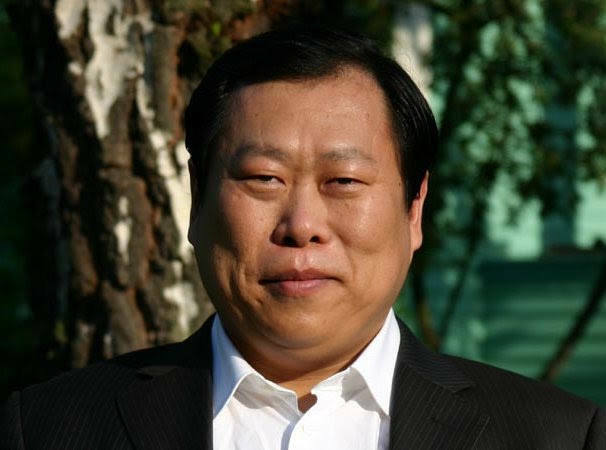 Additionally, he is a Board member and Advanced Specialist Consultant of the World Academic Society of Medical Qigong at the Beijing University of Traditional Chinese Medicine. Today, although he continues to teach seminars and treat patients throughout the world, Grandmaster Mingtang Xu spends most of his time at the Kundawell Institute, which he founded in Beijing in 2009. The institute specializes in researching and treating patients with the most difficult and "untreatable" diseases, using methods of Image Medicine combined with Traditional Chinese Medicine. Grandmaster Mingtang Xu's current vision is to establish a North American clinical center which could accommodate patients for extended stays. Treatment protocols would combine hands-on healing, herbal supplements and individualized nutrition programs, as well as personalized ZY Qigong training and practice. Such a facility would also allow for intensive training in Image Medicine and clinical internships for new ZY Qigong healers.